With the rising popularity of Korean music and culture in Japan, it was only a matter of time before Korean cuisine became fashionable as well. 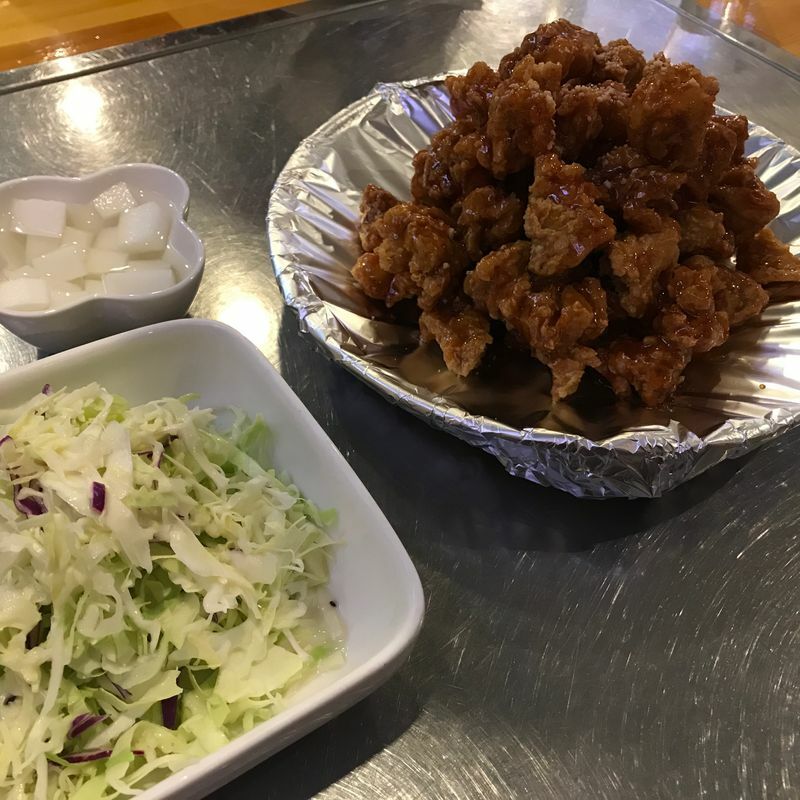 My favorite Korean food, though far from traditional, is Korean fried chicken. Yoko Chicken is located in downtown Yokohama, in the tiny Koreatown there. It's next to a few other shops that sell KFC, but I think that theirs is the best. Remember to get boneless when you order in (or takeout)! Besides KFC, they also have more traditional dishes, like bulgogi, tteokbokki, etc. The workers here are pretty nice, though a bit inattentive. You'll have to call them to your attention for anything, even a refill on water. The food comes out pretty quickly, thankfully. And, like usual, it comes with a free vegetable appetizer. Depending on the size and toppings, prices range from 1500 to 3000 yen. I often come here when I'm in the area. It's convenient, though it does require a bit of commitment to the actual meal, as you have to wait for it to be prepared. If you have some extra time, I recommend it because the food is totally worth it!